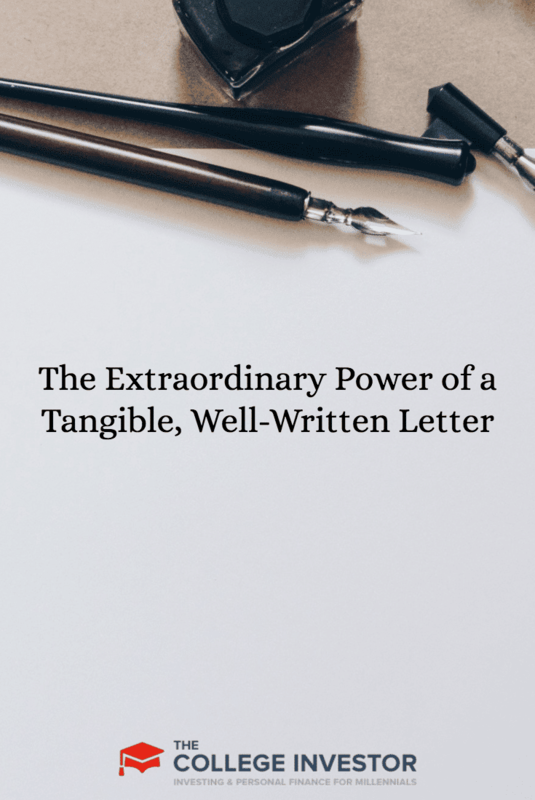 In this day and age when phones and email are so prevalent, many people forget the power of a well-written letter. Yet, in so many important matters of life, we send out mail correspondence: graduations, weddings, showers, etc. 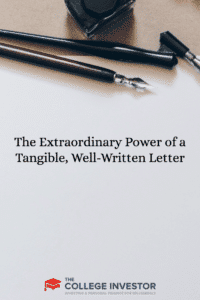 It is important to remember the power that a well-written letter can have, and also in what matters it is necessary to have one. By writing a letter, it shows that you are serious in whatever form your correspondence takes. It if is an announcement, it shows that you really value someone coming. If it is a handwritten letter to a friend, the time you spent writing is a reminder of your friendship. Think of even the basics: if you mail in a comment card at a store, management has to consider the fact that you took time to write and then mail it back — for recognition or concern. And in business, a letter usually means serious business. In many transactions, a letter is an official record. And if you add certifications and return receipts to it, it shows the receiver that you are serious. Throw in some facts that you’ve cited correctly using a free site like Cite.com, then businesses know you’re not making things up! In fact, many more documents are required, but companies have created forms to standardize correspondence. Even in this electronic age, it is so important to actually mail in a physical document. For many processes, such as a credit card dispute or a dispute with a creditor, actions cannot take place until a written dispute is received. For example, if you are disputing a credit card charge, you are still liable for the charge until a written dispute is received. Once it is received, you are protected by law from paying the disputed charge until the dispute is resolved. Also, if you are requesting payment for something, or requesting a refund, you cannot legally proceed to further steps unless you have written a letter demanding payment/refund, and you have proof it was delivered. This is why, for a legal letter, it is so important that you get the mail certified and get a return receipt when mailing from the United States Postal Service. By using this option, you will pay about $4 per letter, but you will get a postcard back signed by the receiver, and it will show the name of the person receiving it along with the date received. I’m telling you all of this because I have had to write letters numerous times, but had a serious one lately. I have had a lot of success writing letters when I have been dissatisfied with a service or purchase. In many cases I have been able to receive refunds or other types of apologies. More recently, I had consigned an item to be sold at a local merchant. The merchant had been doing business for over 30 years and I had dealt with them before, so going in I felt very confident in the process. As in any consignment process, you leave your item and they pay you once it has sold. When I dropped off the item, our contract stated 30 days once the item had been sold, in case it was returned. Well, that 30 days had passed, and no payment. I called and was promised this week, and then called, and was promised the next week. This continued for a month and a half, and finally, as this dispute got closer to 90 days after the sale, I pressed them more seriously. I finally let them know that I would need to take them to court if they didn’t pay — but I couldn’t do this until I had a certified letter proving that my demand for payment had been made. Please be advised that M Company owes me the sum of $500.00 because of the consignment agreement that was initiated in 2011 for the consignment of a [item]. It is receipt number 1764. During my past conversations with Julie on both January 13 and January 20, she agreed that payment was due and would be sent out. Specifically, during the conversation on January 20, she advised me that payment would be received by January 26. During my conversation with Julie on January 30, she said that payment would be received by February 9 at the earliest. I then called and spoke to Mark, who said he would speak to Julie, and payment should be available for pickup at M Company on February 1. On February 1, I arrived at M Company and spoke to Mark. He said that payment will be available tomorrow (February 2), or at the latest, February 3. This will be M Company’s last chance to settle this matter before I file suit against M Company in small-claims court. I am agreeable to a lump sum payment. Please contact me on or before February 3 for purposes of settling this matter. If I do not hear from M Company on or before February 9, I will file a lawsuit against M Company without further notice. It is in M Company’s best interest to settle this matter before a lawsuit is filed. If a judgment is obtained against M Company, it will negatively affect M Company’s ability to get credit, M Company will be ordered to pay court costs, and M Company will incur interest at a rate of 10% per annum. Based on the foregoing, I expect payment in the amount of $500.00 made payable to Robert no later than February 9. I can be reached at: [telephone number]. If M Company decides to ignore this demand for payment, I will further pursue all of its legal remedies without further notice to M Company. This letter serves as evidence that I have attempted to resolve this matter informally. This letter was mailed on February 3 and received by them via Certified Mail® on February 4. I received a call from them on that day, in which they said, “We’re sorry. We are mailing payment today . . . by the way, good letter.” And believe it or not, payment arrived the next day. It is really annoying to have to go through these steps to get a resolution. However, the sad fact of life is that it is necessary to do so in so many things. My story above is a recent example, but I have had to do it with other customer service issues in the past as well. Remember my awful Best Buy customer service experience? It does happen, so arm yourself with the power of a well-written letter. Have you ever had to write a letter to get something resolved? Does it annoy you to have to? Great example. As the letter becomes less used, I actually believe its impact is increasing. When I receive a physical letter (either from a company or friend), I place more attention to this when compared to an email.